Kristen Polletta was driving to work in Providence, Rhode Island, one morning last fall when she saw something that made her heart instantly sink. A little mound of shaggy black fur was lying on the side of the busy road — and it was wearing a pink collar. 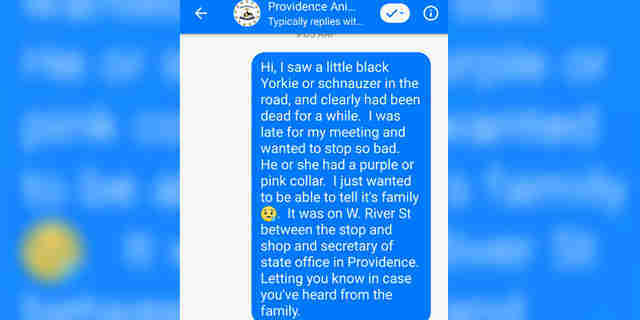 Saddened by the sight, Polletta reached out to the Providence Animal Control Center as soon as she got to work to report where it was, in case the animal’s owner was still out searching for their pet. It looked like the poor animal may have been deceased for a while, Polletta said. When the shelter dispatched an officer to the scene, he couldn’t believe his eyes. There was no dog — but there was, in fact, a messy wig at the side of the road with a pink hair band in it. 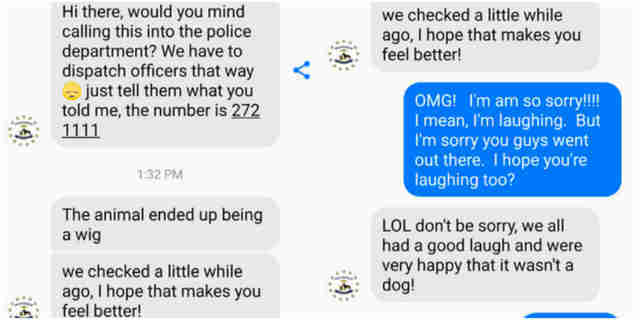 It turns out, Polletta wasn’t the first person in the town to have mistakenly led animal control to a supposed pet in trouble. The situation described was rather gruesome — which just makes it even funnier considering the real identity of the “strange bag” someone found. Luckily, neither case of mistaken identity was an emergency — and Polletta’s good-intentioned plea was so sweet for the officers to see. It’s better to be safe than sorry — and with countless pets being abandoned or becoming lost each year, it’s unfortunately not an impossible scenario. 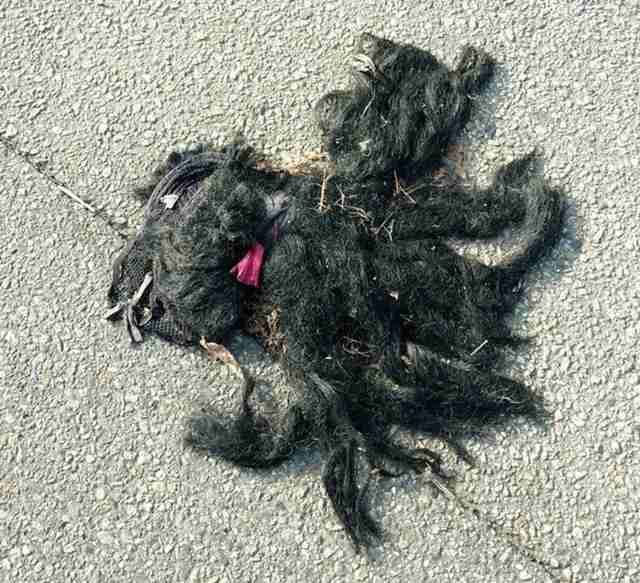 Two months later, authorities still haven’t been able to track down the ratty wig’s rightful owner. As it turns out, some things are just better left untamed. For information on (actual) adoptable pets at the rescue, click here. To help animals in need, you can make a donation.